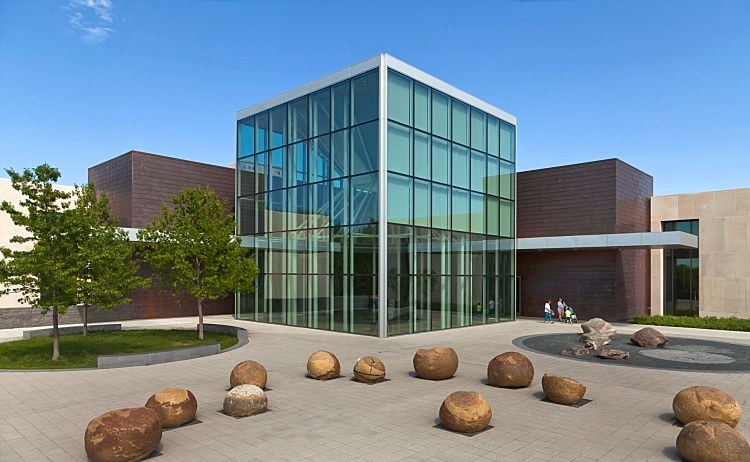 The facility contains the State Museum, the State Historical Society of North Dakota and its Foundation, the State Archives, the State Historic Preservation Office, and the state fossil collection of the Geological Survey. Phase two approximately doubled the size of the existing facility, adding an additional 97,000 square feet. This phase added three galleries, archive and collection storage, office spaces, prep areas, a cafe, new main entrance, hub of history, theater and outdoor amphitheater. Highlights of the remodeling included the existing main gallery, traveling exhibit, tree house, auditorium, office spaces, prep areas and security.